Dr Jart is fairly easily found in the United States and is known for bb creams, masks and professional-quality treatments. 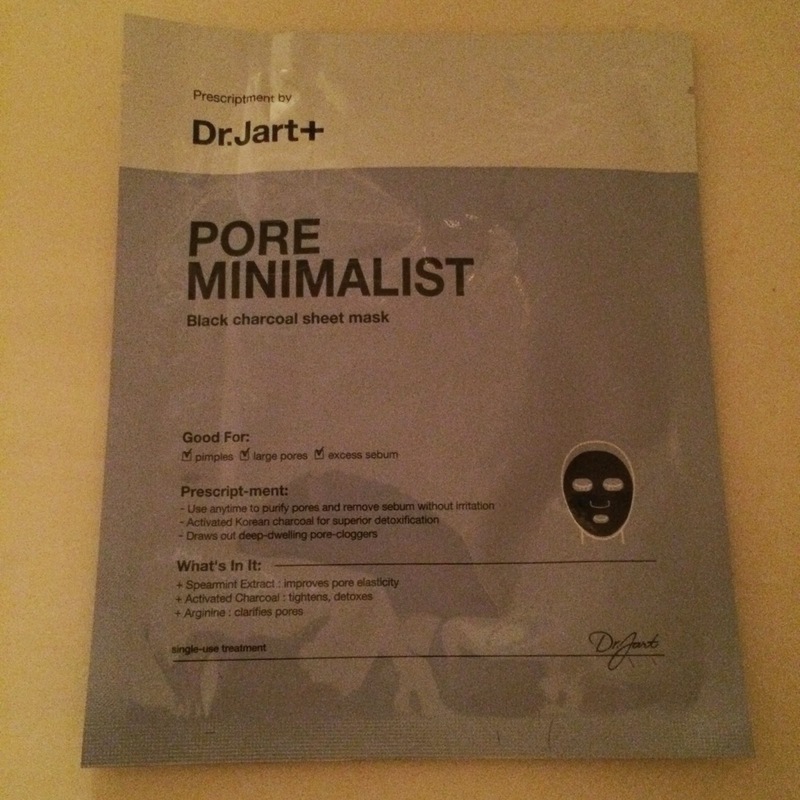 Today, I'm trying out their Pore Minimalist Sheet Mask. Activated Charcoal: to detox, tighten and purify the pores. Spearmint Extract: to improve pore elasticity. Arginine: to to clarify the pores. Moroccan Lava Clay: to remove dead skin cells and firm the skin. This mask is supposed to be good for blemished and oily skin, large pores, and anyone looking for a clear and healthy complexion. Water, Glycerin, Dimethyl Sulfone, Butylene Glycol, 1,2-Hexanediol, PEG-32, Glycereth-26, Panthenol, Charcoal Powder, Alcohol Denat., Achillea Millefolium Extract, Arnica Montana Flower Extract, Artemisia Absinthium Extract, Gentiana Lutea Root Extract, Mentha Viridis (Spearmint) Extract, Moroccan Lava Clay, Polyphosphorylcholine, Glycol Acrylate, Arginine, PEG-60 Hydrogenated Castor Oil, Ethylhexylglycerin, Disodium EDTA, Parfum, Potassium Sorbate. The CosDNA analysis of this mask revealed one small (1 out of 5) acne trigger close to the top of the ingredient list and one large (5 out of 5) skin irritant in the middle of the list. Overall not too terribly worrying, but something to keep an eye out for any issues after use. Before. 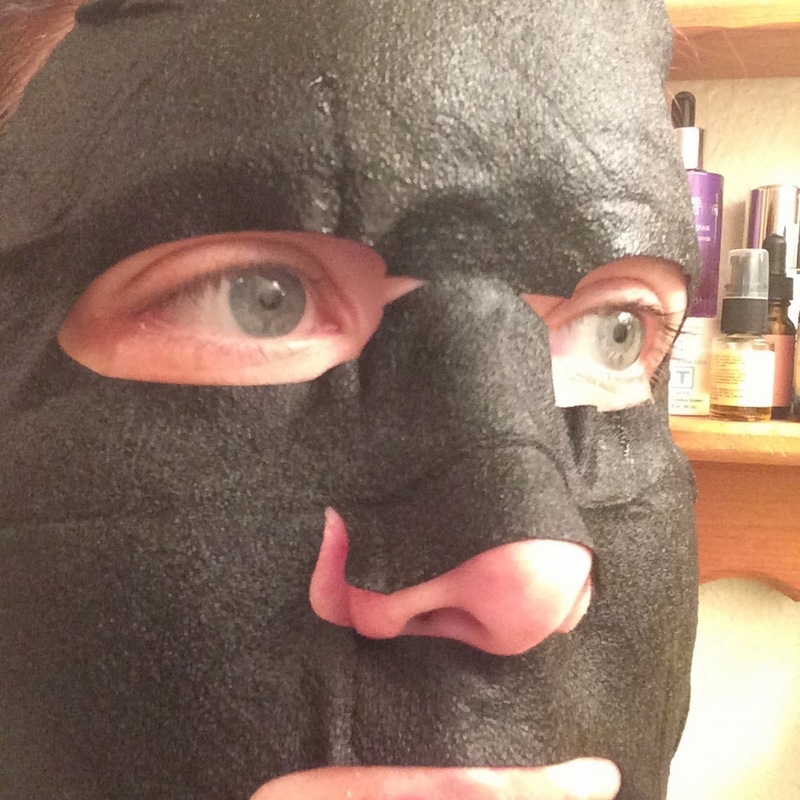 I'm breaking out on my chin, nose, and cheeks - so hopefully this mask helps my skin! 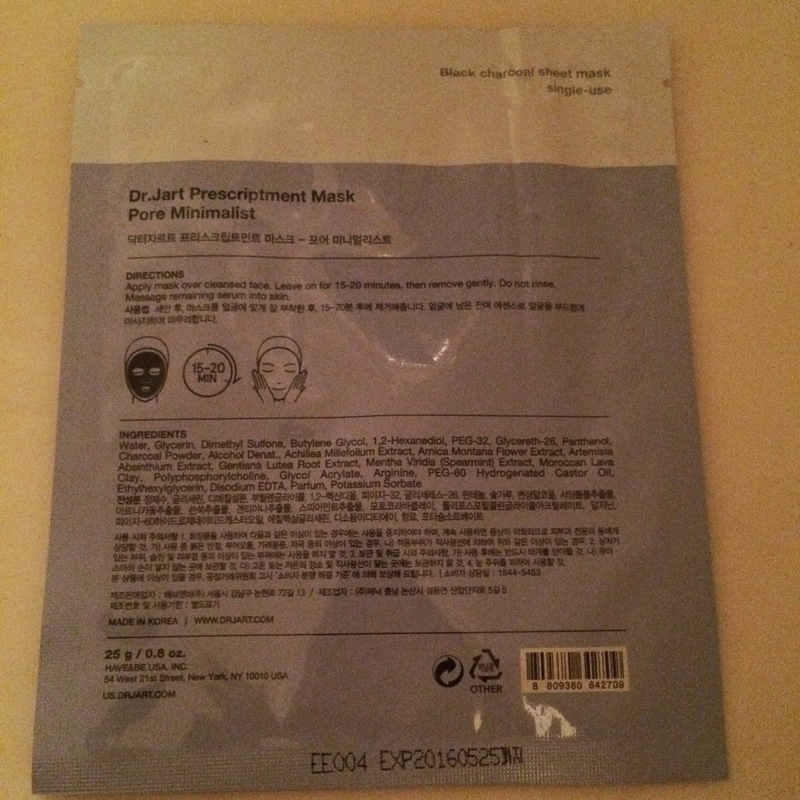 This is probably the best nose-fitting sheet mask I've tried to-date. 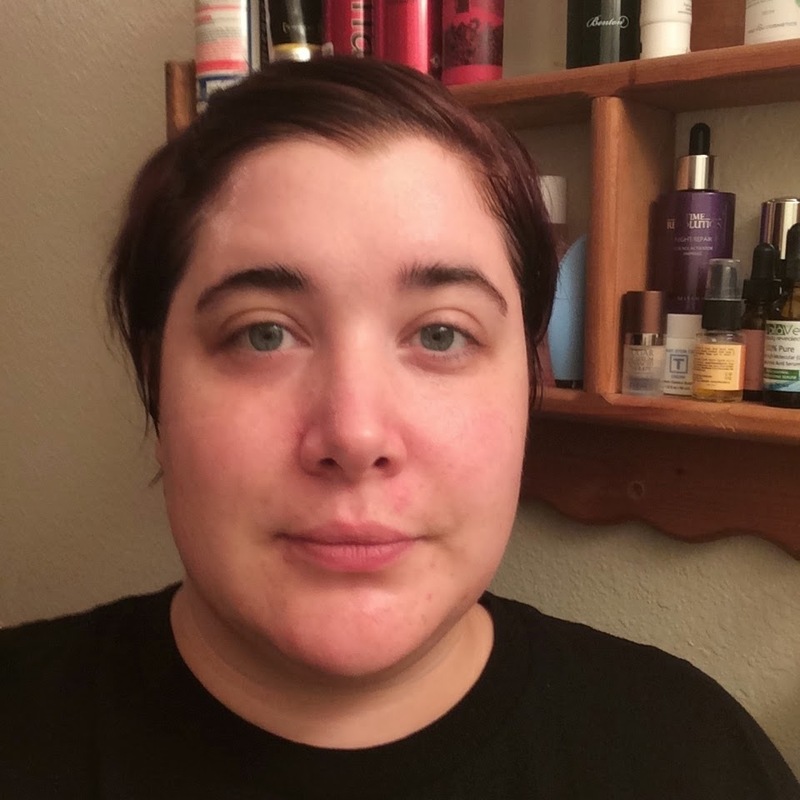 After - Holy calm and clear face Batman! I'm glad I have more of these. 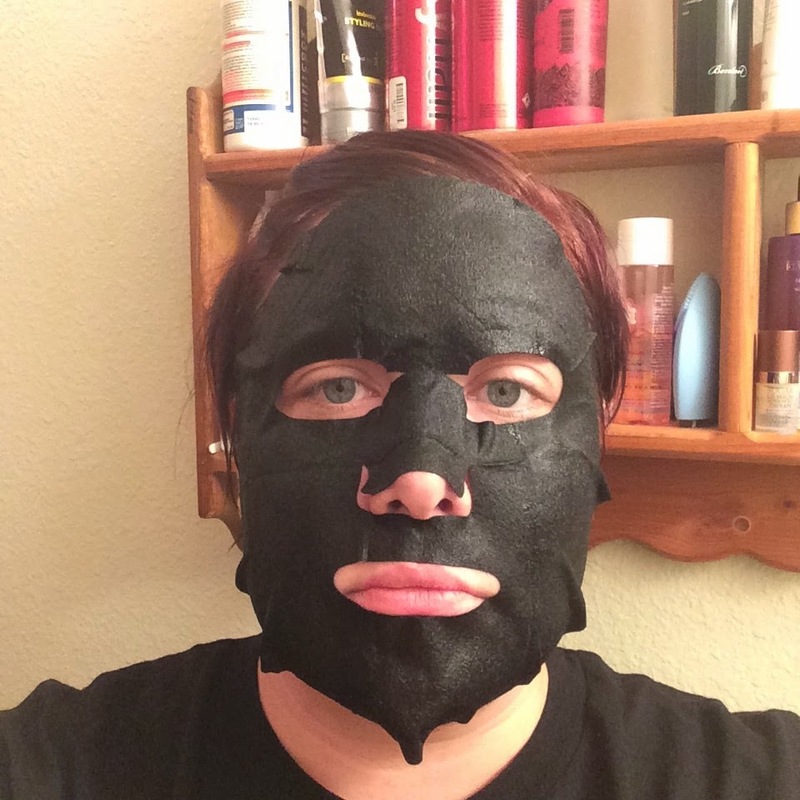 Much to my surprise, this mask really did tighten up my gaping pores. Wowza! This mask had a fresh clean scent to it, and was soft to the touch, but a little stiff which made it a little harder to get it to stay on my face. It was a little cooling, but I felt no itching or burning or anything else that may indicate it was irritating my skin. 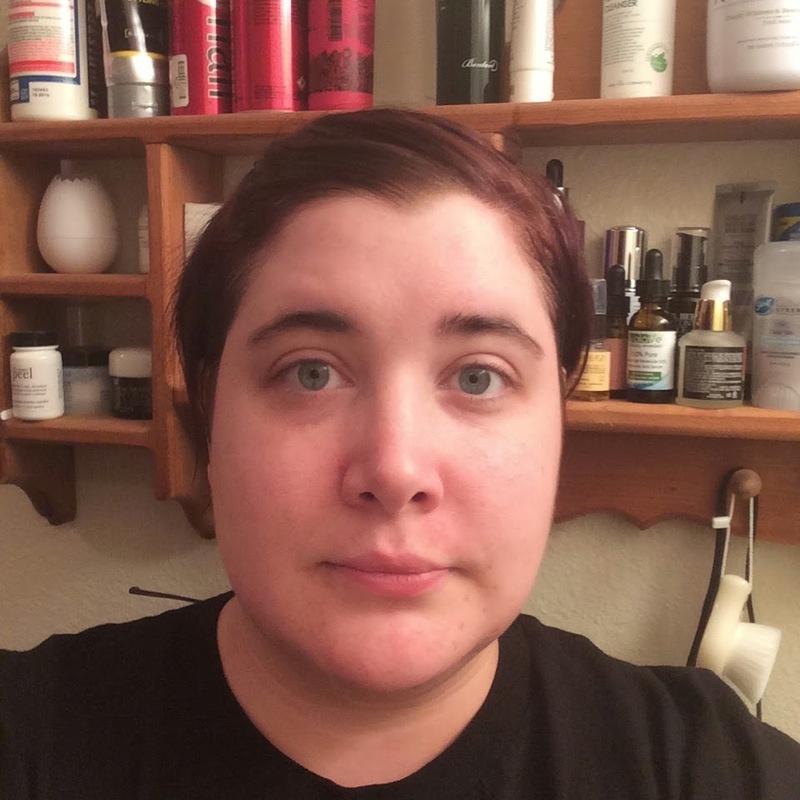 I immediately noticed clarity in my skin after removing the mask, which is awesome because that's why I used it! 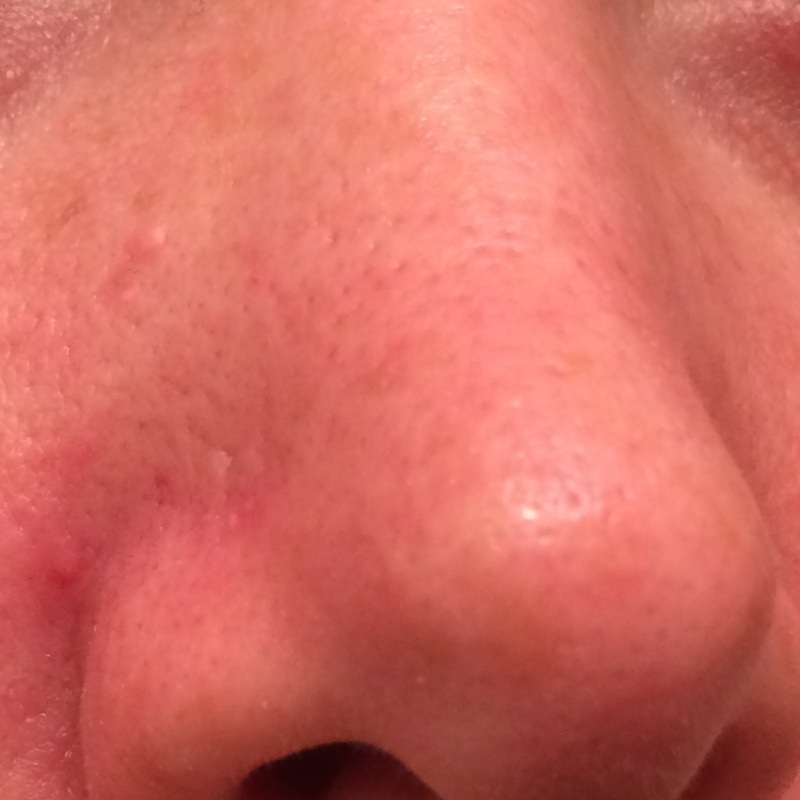 My face is freaking out today, and at $7.50 a sheet - I sure hope it really does something! I honestly loved this mask and will purchase more when I run out. I bought mine at Sephora.